Imagine a big new house with free heatingand cooling. Mike Sykes' Enertia Building System relies on thick wooden walls and a natural convection current to even out temperature extremes. 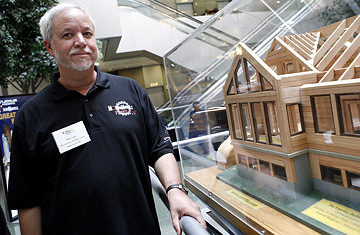 For more on the winning entry in this year's Modern Marvels Invent Now Challenge, whose co-sponsors include the History Channel and TIME, go to history.com/invent.